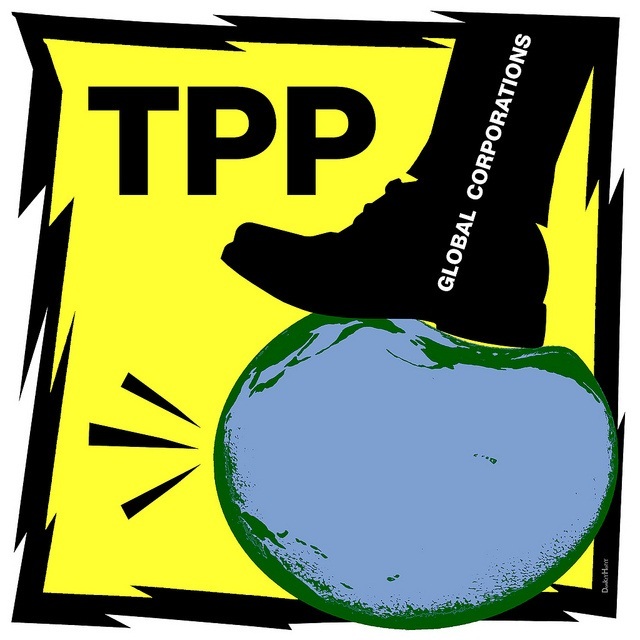 The Trans-Pacific Partnership (TPP), a trade and investment agreement is scheduled for an up-or-down vote in Congress later in 2016. It includes 12 Pacific Rim countries comprising 40% of the world economy -- U.S., Japan, Australia, Peru, Malaysia, Vietnam, New Zealand, Chile, Singapore, Canada, Mexico, and Brunei Darussalam. Like the dozen trade agreements the United States has previously entered and those under present negotiation, it has little to do with protecting workers or ensuring fair trade and a lot to do with de-regulation and extending corporate power over democratic governance. These “agreements” directly threaten the laws that nations, states or local governments enact to address threats to the environment, food safety, human health, and worker protections. Free traders have told us for more than twenty years that these agreements open up foreign markets to American goods and create jobs galore in the United States. But increasingly people ask: Are those markets not currently being supplied by local manufacturers and companies? Won’t our own markets be opened to foreign corporations? Haven’t we lost millions of jobs since these trade deals arrived on the scene with 1992’s NAFTA? Isn’t it the case that we have, for years, imported much more than we exported leaving us with worrisome trade deficits? The Peterson Institute for International Economics (funded by major global corporations including many that helped write the trade document) tells us the TPP will raise U.S. incomes by $133 billion a year.1 It doesn’t reveal how that income will be distributed. But U.S. workers know the answer. The most savage assault on people’s sovereignty is found in Chapter 28 – the Investor-State Dispute Settlement (ISDS) process. This gives foreign corporations rights to sue a country if its laws would diminish anticipated profits. The judicial proceeding takes place in secret, before a tribunal of corporate lawyers and the decision cannot be appealed. --- The U.S. Congress recently prohibited country-of-origin-labeling (COOL) on imported meats because it “accorded unfavorable treatment to Canadian and Mexican livestock” in violation of the TPP. Food safety groups believe labeling information essential for customer choice, animal welfare and public health. Trade tribunals have awarded $3.6 billion to foreign investors through such investor-state provisions. The organization, Public Citizen, estimates there are about 9,000 foreign-owned firms in the U.S. that could sue the U.S. government for loss of future profits. A free trade zone is a forced trade zone – against the will of people or governments. These actions put profiteering corporations in the category of sovereign nations. Even the threat of a suit prevents legislators from enacting laws that might run counter to the corporate bottom-line. I wonder if the readers of this article are pondering the same question as its authors? 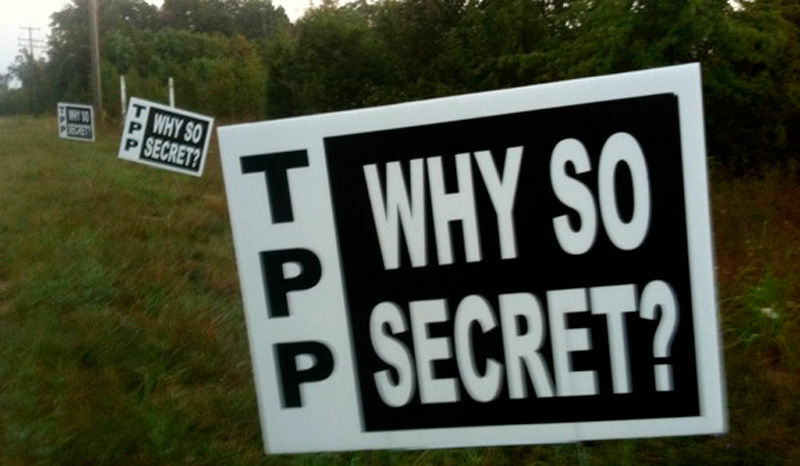 Why is the Obama administration supporting the TPP? Your answer is every bit as good as ours. 5. Citizens Trade Campaign, memo of April 5, 2016.